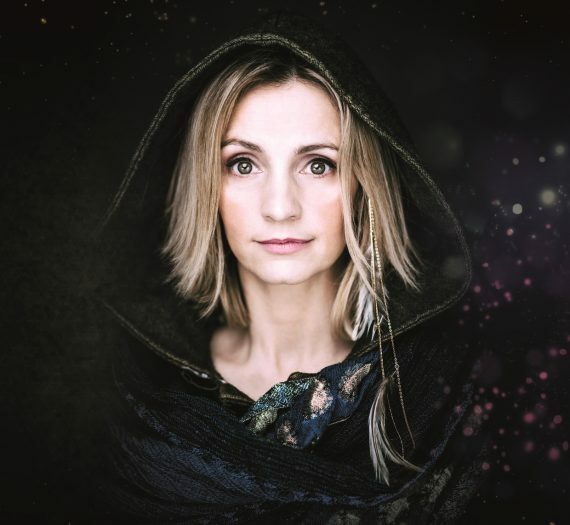 Cara Dillon, possessed of one of Ireland’s most celebrated folk voices, returns to The Stoller Hall to perform her Christmas show Upon A Winter’s Night, which she has now toured for three years running thanks to its overwhelming success. Cara and her band capture the mystery of Christmas with a collection of songs ancient and modern, providing a welcome reminder that the festive season can be about more than just commercialism. A far cry from Jingle Bells and Santa Baby, Cara’s wonderful band weave Celtic and folksy rhythms through atmospheric carols, while Cara holds the darkness at bay with the purity of her voice. Modest and down-to-earth, Cara admits to being taken aback by the success of her acclaimed Christmas album Upon A Winter’s Night when it reached Number 1 in the Indie Album Charts in 2016. The music shows another side to Christmas, where the nativity story is retold with genuine wonder and celebrated with dignity and beauty. Cara has enjoyed a brilliant career in music during which she has tread many different paths, releasing folk crossover albums on indie label Rough Trade, working on Disney soundtracks and collaborating with the UK’s leading dance DJs and producers. Nevertheless, Cara has always firmly placed herself within the landscape of her cultural heritage, occupying a position at the very heart of the Irish folk genre. Cara has captivated audiences, won awards and achieved exceptional acclaim for over 20 years with her remarkable musicality and what is (according to Mojo magazine) “Quite possibly the world’s most beautiful female voice”.